When a dig in Pella turns up less-than-stunning finds, Shannon Jennings Weber decides to visit the archives of a nearby church. She discovers brown leaves of parchment being used as a bookmark in Eusebius’ Historia Ekklesiastica. She brings the pages to her famous husband, Dr. Jonathan Weber, a professor at Harvard. What they discover is that these few brown pages could lead to the biggest discovery in Christianity since the Dead Sea Scrolls. Problems arise, and the Webers face more than their share of dangers as events unfold. Will this be the discovery of the century? First let me say, I loved this novel! Paul L. Maier is a professor of Ancient History. He has done translations and commentaries on the historical works of both Josephus and Eusebius. 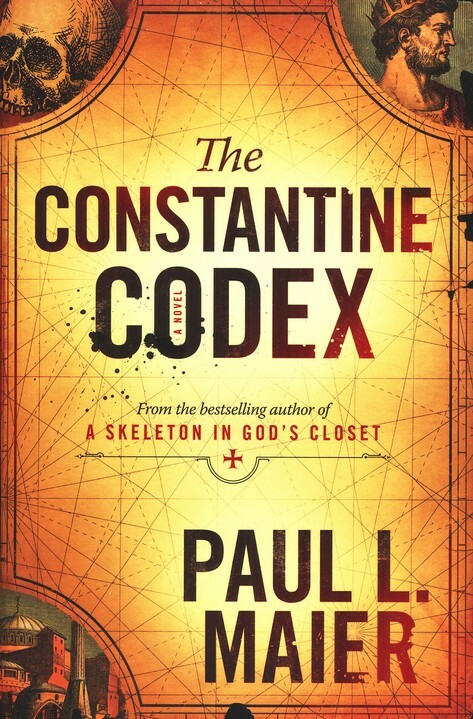 While The Constantine Codex is a work of fiction it contains many historical facts regarding Christianity. I have been interested in church history for some time now, though I by no means admit to knowing much. But I am willing to bet that if you’ve never been interesting in the history of Christianity this book may make you curious. The story is fascinating and I actually learned a lot about manuscripts that scholars truly believe could exist. The story has a couple of sub-plots that keep everything moving along. As a whole, this is a very interesting and entertaining novel. Easily in my top 3 for the year. I earned a copy of this book from Tyndale’s Summer Reading Program. A review was not required. This was book 31 in my 52 Books in 52 Weeks challenge.